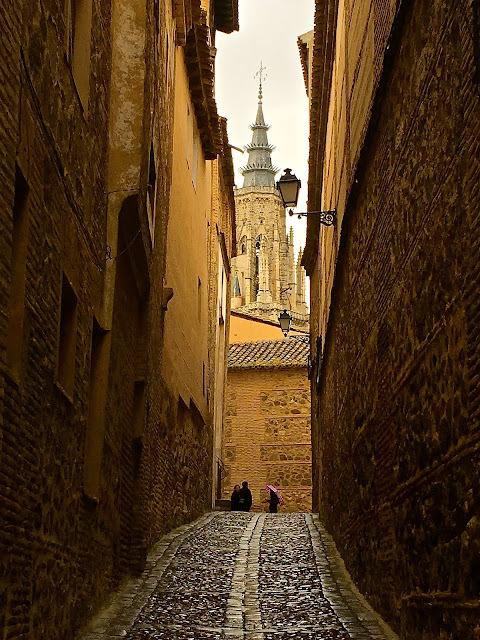 A mere 50-minute drive from Madrid (or 30 minutes by high speed train), the former Imperial capital of Spain until 1561, Toledo is an exquisitely charming city with so much to be discovered. I recently spent a few days in Toledo, Spain’s gastronomy capital of 2016 and was blown away by the food I got to try there, the numerous fine-dining options available at ludicrously reasonable prices and the robust local wines, but more on those later. Spain is hardly a tough sell for those looking for a bit of European sunshine; in fact it is still the number one holiday destination for the Brits. But like many others in this country, I must admit to visiting Barcelona, Madrid, Andalucia and San Sebastian on a number of occasions, but never venturing much further afield in Spain. And what a big mistake that was, as I discovered on this recent trip to one of Spain’s most gorgeous regions - Castilla La Mancha. Home to Miguel de Cervantes (the Shakespeare of Spain), the wondrous Windmills of Consuegra as featured in Don Quixote, and the most important cathedral in the country in Toledo, Castilla La Mancha is also a melting pot of Christians, Jews and Muslims making it one of the most culturally exciting and diverse places in Spain. I will be writing in more detail about Castilla La Mancha in the weeks to come, but for now I wanted to flag up that Toledo is Spain’s 2016 Capital of Gastronomy, and so there is excellent food to be found there right now. No time to waste I say! With numerous and frequent airline options from all main airports in the UK, Toledo is one the best weekend get-away destinations for us; being relatively undiscovered also means that Toledo is surprisingly affordable. Take for example, the 8-course tasting dinner we enjoyed at Locum Restaurant in Toledo’s city centre, priced at an incredibly reasonable €40 (£31.50) per person. We had two exceptional meals in Toledo and Locum’s was one of them. Located in a 17th century house just by the city’s stunning cathedral, Locum restaurant serves Castilla La Mancha’s local produce in dishes of great sophistication and creativity. I loved Locum’s Galleta Oreo – a ‘cookie’ made from nougat of foie gras with creamy Manchego cheese at its centre. It was luscious, sweet and savoury at the same time and highly creative. The region of Castilla La Mancha is known for the use of game and offal in its cuisine, and our next dish was a fine example – a delectable cream of potato served with chunks of lobster and lamb sweetbreads (mollejas de cordero). The combination of land and sea in this dish was one of the highlights of our dinner. Equally lovely was the pan-fried hake served with a heady saffron sauce, plump mussels and olive oil caviar (spherified extra virgin olive oil, cleverly made to resemble fish eggs). And just when I thought it could not get any better, ‘El Pastel de Mazapán’ arrived. Toledo is world-famous for its artisanal marzipan (nothing like the overly sweet and dry marzipan that we sometimes experience from ready-made, commercial brands) and that is what we had for our dessert course – a hot marzipan cake that oozed out molten marzipan from its centre, served with a delicious cream of cheese and passion fruit, heaven! I highly recommend Locum Restaurant for anyone visiting Toledo. Their fine-dining 8-course menu at €40 per head is excellent value for money and I for one cannot wait to return. The other great meal we had in Toledo was at the 1-Michelin starred restaurant El Carmen de Montesión. Opened in 2010, El Carmen de Montesión was awarded its first Michelin star in 2013 under head chef Ivan Cerdeño, whom we had the opportunity to meet. A 5-course lunch menu here including wines and water will set you back a ‘staggering’ €27.50 (£21.65) per person. If you really want to push the boat out and enjoy their 8-course fine dining menu with wines, water and VAT, expect to pay as much as €43 (£34) a head. El Carmen de Montesión is likely to be the best value Michelin-starred restaurant in Europe. Of the 8 delectable courses we had at El Carmen de Montesión, one of the highlights was their take on the traditional Castilian ‘Atascaburras’ – a hearty winter dish of salted cod, potatoes, garlic, olive oil and nuts but re-interpreted here with a sweet garlic meringue, purple potato tuille, and baccala foam. This was a super light and flavoursome dish. The bonbon of partridge was also excellent – served with a truffle biscuit base and refreshing green apple purée. Another highpoint was the ‘Pluma Iberico de Bellota a la Brasa’ – Iberico de Bellota pigs are fed on acorns, giving the meat a beautifully sweet nuttiness. The pluma cut is found at the bottom end of the loin - it is heavily marbled and is the pork equivalent to wagyu beef. The meat is very succulent and delicate and unusually for pork should be eaten medium rare. The pluma we had at El Carmen de Montesión was no exception – so very sweet and juicy and perfectly cooked, served with pieces of blackened yucca and potato gnocchi that resembled nuggets of coal. For dessert, the ‘Recuerdos de Toledo’ (Memories of Toledo) was a refreshing course of goat’s cheese ice cream topped with saffron foam. El Carmen de Montesión is the sister restaurant of the highly regarded El Bohio Restaurant, opened in 1934 in the town of Illescas and now headed by the 3rd generation of the Rodriguez family, brothers Pepe and Diego. The kitchen at El Bohio is led by Pepe Rodriguez who was mentored by the 3-Michelin starred chef Martin Berasategui. 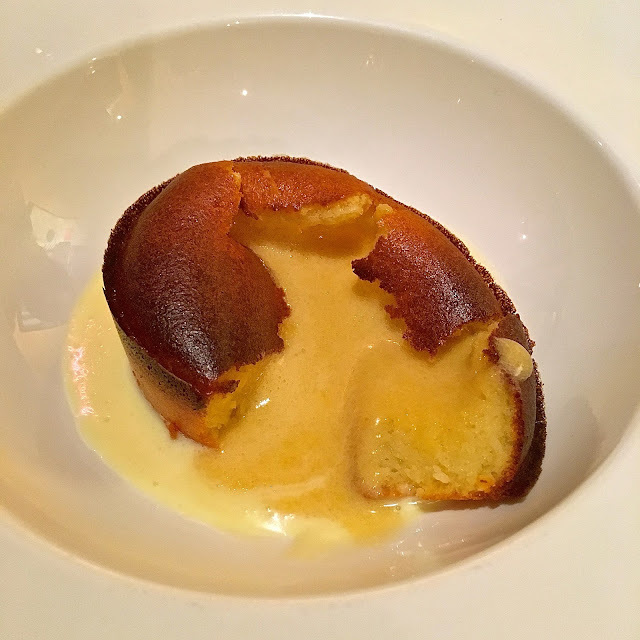 I had one of the best meals of my life at Martin Berasategui’s in San Sebastian (reviewed here). We didn’t have the opportunity to visit El Bohio on this trip, but considering that the town of Illescas is on the road between Madrid and Toledo plus all the above credentials, El Bohio is likely to be a very good lunch or dinner stop en route to Toledo. For an after-dinner (or even pre-dinner) drink, I recommend Bar Jacaranda in the Old Town. We had a few bottles here on our last night in Toledo until the small hours, it is open from 7pm to 3am. Founded in 1978, I believe the bar has never been modernized since it opened – it is charming, bohemian and full of character but most importantly it serves some great local wines, and Castilian fondue at reasonable prices. There are few places in Europe that have excited me as much as Toledo in recent years – it is easy to get to and a stunning spot, the food is top notch and it’s fantastically good value. A perfect gourmet weekend for me would be lunch/dinner at El Bohio on a Friday on the drive from Madrid, followed by tasting menus at both Locum and El Carmen de Montesión restaurants in Toledo on Saturday and Sunday. In the coming few weeks, I will be sharing with you in more detail my #InLaMancha adventures, as well as my top recommendations for restaurants and wineries in the region. If you are travelling to the area imminently, check the Twitter and Instagram hashtag #InLaMancha for more information. My fellow bloggers will be posting their thoughts too, so do check in on Sarah Lee of Live Share Tavel, Niamh of Eat Like a Girl, Michael Turtle of Time Travel Turtle, Abigail King of Inside Travel Lab and Keith Jenkins of Velvet Escape for further insights. The #InLaMancha campaign was created and sponsored by Turismo Castilla La Mancha in partnership with iambassador. The London Foodie maintains full editorial control over all content published on this site as always.